The ministry has been involved in the planting of thriving churches in Africa, North America & Europe. KingsWord International Church, Ikeja which is the Africa headquarter church was planted on the 31st of December 1997 shortly after the official inauguration of the ministry. 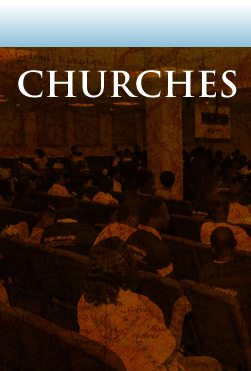 This Church has grown over the years and has given birth to several daughter Churches at different locations in Nigeria. The international headquarter of the ministry is presently located at Chicago under the leadership of the president of the ministry, Pastor Kayode Ijisesan. In addition, KingsWord Ministries International is committed to the raising of a people of purpose on College campuses. The Word is being preached and is changing lives on college campuses through the establishment of Campus Churches. There are currently nine Campus Churches under the hospices of the ministry in different locations in the western part of Nigeria. We are called to proclaim Jesus, the Anointed one and present Him clearly to the dying world. We are called to help people build a stronger relationship with the Lord through the preaching and teaching of the Word. We emphasize victory in life by the Word and the ministry of the Holy Spirit. We are primarily committed to the raising of a Supernatural and Purposeful people. We have been sent to this generation to help people discover and walk in their calling using their gifts and talents. We are anointed to train, equip and release God's children into the fullness of their God given purpose. No matter where you may be in life we believe the Supernatural unction upon this ministry will raise you up to a greater place of fulfillment as you fellowship with us in any of our locations. We are indeed committed to the raising of a supernatural army: a people of Purpose and Power through the avenue of the local church. Bye Pass, Akure. Ondo State. Ajebamidele Ibadan Road Ile-Ife. Osun State.